KONGSBERG to display several PROTECTOR RWS with integrated Javelin missiles throughout the exhibition. 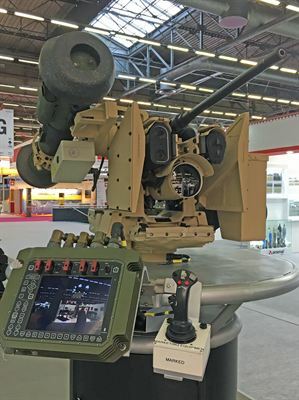 KONGSBERG recently delivered a fully configurable, dual-weapon system that includes a 12,7mm or 40mm AGL as the main weapon and an integrated 7,62mm or Javelin as the coaxial weapon. The system design enables configurability on a mission to mission basis for maximum flexibility. Supporting the growing interest in an integrated ATGM capability, the UK’s Armoured Trials and Development Unit (ATDU) successfully conducted a Javelin missile trial leveraging a fully integrated missile on the M151 PROTECTOR RWS. The firing trials were also supported by KONGSBERG and the Javelin Joint Venture (JJV) program. In all, ATDU fired five Javelin missiles from the M151 PROTECTOR whilst mounted to UK MOD armoured vehicle known as a Spartan. The Firing Trials included the firing of three Block 0 missiles at ranges of 1500, 2500, and 3200 metres and two Block 1 missiles at ranges of 3500 and 4300 metres. All five missiles struck the designated targets, including the engagement that was defined at 4300 metres – one of the longest Javelin engagement distances trialed to date. - Being the number one supplier of remote weapon systems in the world, we always strive to offer our users the best product. With continuous developments and innovations, we provide added capabilities that support the missions of the soldiers out in the field. We see an increased demand for add-ons and solutions like the Javelin integration, and we are very satisfied with the excellent test results, says Espen Henriksen, President Kongsberg Protech Systems. The flexibility and growth potential in the PROTECTOR RWS ensures that the systems are able to be successfully tailored and modified to support the needs of the warfighters in today’s ever-changing world. 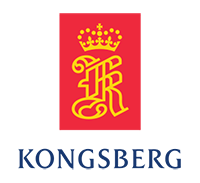 KONGSBERG (OSE-ticker: KOG) is an international, knowledge-based group delivering high technology systems and solutions to clients within the oil and gas industry, merchant marine, defence and aerospace. KONGSBERG has 7 700 employees located in more than 25 countries and total revenues of NOK 17.0 billion in 2015. Follow us on Twitter: @kongsbergasa.